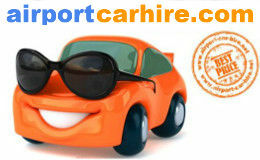 Looking for to hire a car in Glasgow Airport or in Glasgow City Centre? We compare the market for you to get you quality cars at fantastic prices in Glasgow Scotland. Prices are all inclusive with a no excess option and are supplied by the leading rent a car companies in Scotland, Hertz, Avis, Sixt, Europcar, Budget, Thrifty, and many more. Pick up location at Glasgow airport and Glasgow city centre. Book online before you arrive to get the lowest prices and fantastic customer care. Glasgow International Airport is situated 12km west of the city Glasgow jsut off the M8. The airport handles 8 million passengers per year making it the second busiest airport in Scotland and the 8th busiest in the UK. Car Parking: Long Term Parking at Glasgow offers a courtesy coach for all its visitors. Short Term Parking also available. Train service: For trains to Glasgow Central you can take the train from Paisley Gilmour Street station, which is 1.5 miles from Glasgow Airport. Bus service: Bus service available from Glasgow Airport to Glasgow City Centre serviced by First's Glasgow Shuttle and it also services the greater Glasgow area. Shops such as Boots, Dorothy Perkins, Swarovski, Tesco Express, TieRack, WHSmith. Restaurants such as Bargo, Central Sport Bar and Grill, EAT, Frankie & Benny's and Starbucks. To see Scotland in style, Glasgow is a must. Home to medieval quarters, an excellent art scene, imposing historical structures and cutting edge shopping opportunities, this city is filled with rich diversity, unpretentious glamour and warm hospitality. Also designated a UNESCO city of music, there is a bustling music scene just waiting to be explored. Must-see attractions: Get your bearings by taking up one of the hop on hop off bus tours to visit some of the city's top attractions. Marvel at Glasgow City Chamber, particularly beautiful at night, and head to the Glasgow cathedral to see an excellent example of medieval architecture. If you're lucky, you might hear the enchanting choir rehearsing. Take a stroll around the Botanic Gardens, with its recently restored Kibble palace and magnificent Curvilinular Glasshouse for a peaceful afternoon. For something truly different, visit Victoria Park to see the fossilised grove of prehistoric trees. Food, fashion and culture can be found at the Merchant's City, home to a host of restaurants, boutiques and galleries. You'll also find multiple heritage spots like the Church of St Mungo as well as live music venues, including Brittania Panopticon, the oldest music hall in the world! To learn more about some of the local heroes, try the excellent Charles Rennie Macintosh trail or the Glasgow walking tour. If shopping is your thing, head to the Style Mile, located in the city's heart and home to an astounding number of retailers from high street to high-end boutique. Glasgow boasts over 20 free to enter galleries and museums, offering every possibility to art lovers, historians and culture seekers. The Riverside Museum on the banks of the River Clyde is iconic in stature, and home to a world-class transport collection, while the Tenement House captures the Victorian way of life with its guided tours and original fittings. Visit Scotland's oldest public gallery, the Hunterian Museum and gallery, for an array of impressive collections. Glasgow Science Centre is a great interactive family day out and other places of interest include the Piping Museum, the only museum dedicated to Scottish bagpipes you can even give them a try if you like! Recommended scenic drives: Once you've collected your hire car from Glasgow airport, head to the outskirts of the city to Pollok Park, a beautiful woodland spot which is also home to the The Burrell art collection which includes Rodin, Degas and Cezanne. To sample some of the excellent Scottish whiskey, take a drive to either of the nearby Glengoyne or Auchentoshan distilleries. Visit Loch Lomond and The Tressachs National Park, a beautiful spot for kayaking, taking a tour via Water Bus and hiking. This enchanting spot is home to fairytale walks such as Puck's Glen - named after the character in Midsummer Night's Dream - as well as longer treks including Conic Hill and Endrick Mouth via Aber Path. Take a detour to the island-setting of Augustinian monastery in Inchmahome, watch out for red squirrels and birds of prey and also visit the beautiful village of Strathyre. Glasgow, popular for its aesthetic culture, lifestyle and, welcoming people, is Scotland’s largest city. It offers a blend of history, nature, modernity and is quite considered a favourite destination for shoppers. 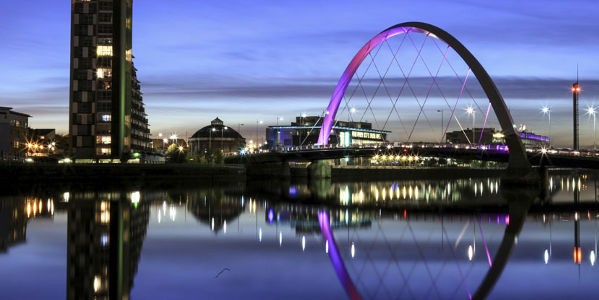 Energetic and vibrant, Glasgow enjoys an all year buzz with an arts scene while attracting high-profile exhibitions, which helped the city, acquire the title of ‘the European City of Culture’ in 1990. Architecture in Glasgow is an attraction in itself. The city’s centre has striking Victorian structures. One will be awestruck with the masterpieces created by one of the city's own celebrated architect and designer Charles Rennie Mackintosh. Glasgow being a thriving metropolis offers an array of activities and attractions. Unlock your perfect car from Glasgow, be any purpose: family holiday, escapade from urban trails or a romantic road trip. Visit our nearest office to book any car of your own choice. It is also widely regarded as the best shopping destination in the United Kingdom outside of London. Retail hubs such as Argyle Street, Sauchiehall Street and Buchannan Street have a variety of shops appealing to the fashion hungry. While you are there, visit the Kelvingrove Art Gallery and Museum to get lost amongst the impressive art and colossal objects. Do not miss to check out a Visual Arts Glasgow. This mobile-savvy web portal is specifically for visitors interested in Glasgow's vibrant visual arts. It draws content direct from over 40 museums, festivals, galleries and studios together by effectively using social media platforms. RSPB Lochwinnoch Nature Reserve or the Clyde Valley Woodlands National Nature Reserve and Clyde Muirshiel Regional Park boast a variety of great wildlife attractions in their natural setting. The Clyde Valley has several outdoor spaces from smaller gardens to larger country parks. Walk through the woodland at Rouken Glen Park in East Renfrewshire. It is located only 23 miles away from the city. 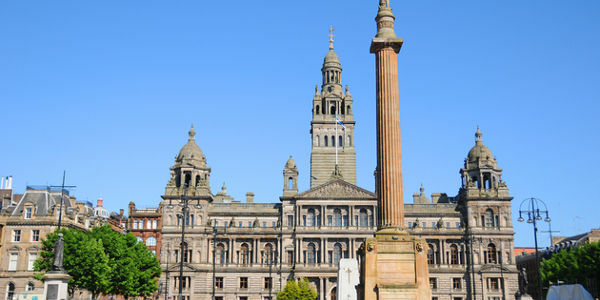 Drive around Glasgow in our hire car to see the best of the city. It allows flexibility to come and go as you wish. In spite of Glasgow being a large city, we have made hiring a rental car a quick job. Whether you are a genius or science novice the exhibitions on display at the Glasgow Science Centre are fascinating and exciting. Lie back and relax in the planetarium watching billions of galaxies sparkle in the night sky. The A82 is the principal route from Lowland Scotland to the western Scottish Highlands, Glasgow to Fort William. It is the second longest primary A-road in Scotland after the A9. 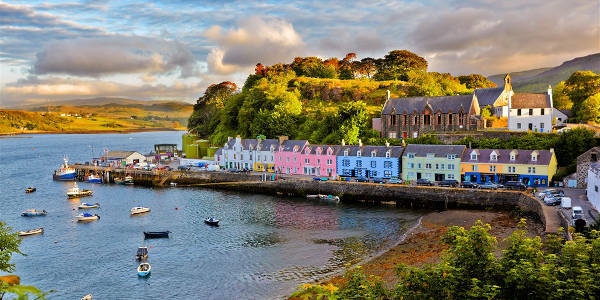 The 250-mile route from Glasgow to Isle of Skye has been listed among the 30 greatest drives in the world. The journey will not be tiresome even for a minute, thanks to the breathtaking mix of lush grasslands, jagged hills, pristine waters and soaring sea cliffs. If you are looking for quick ride to nature’s glory, the Old Glasgow road, B769, from Newton Mearns to Stewarton is good. The Grand Central Hotel 99 Gordon Street G1 3SF Glasgow is ideally located next to Glasgiow's Central Station, it has recently under gone huge renovations, so is now in its prime and has a magnificient Queen Anne style stone frontage, and you will not be disappointed inside either, with every luxury catered for Free Internet, Robes, Slippers, Plasma TV's depending on the room selected. It is a Hotel which has seen some number of celebrities in earlier years such as JFK, Winston Churchill and more. Campanile Glasgow Airport 2 Row Avenue, Renfrew, G51 4SY Paisley With free parking and free Wi-Fi, Campanile Glasgow Airport is just 10 minutes from Glasgow centre. The hotel has a restaurant and 24-hour front desk, and Glasgow Airport is just 4 miles away. The modern rooms at Campanile Glasgow each have a private bathroom and air conditioning. Rooms also have a flat-screen TV, telephone, tea and coffee facilities and plenty of storage space. Just off junction 26 of the M8 motorway, the Glasgow Airport Campanile has easy access to the region’s major road network. Hillington Industrial Estate is just 2 minutes’ drive away. Argyll Hotel 973 Sauchiehall St, North West, G3 7TQ Glasgow This traditional family-run hotel is 800 metres from the SECC and Kelvingrove Art Gallery and Museum. It has free Wi-Fi, free parking, good-value food and en suite rooms. The Argyll Hotel is on Sauchiehall Street, opposite, Kelvingrove Park and less than a mile (1.6 km) west of Glasgow city centre. The M8 motorway, the Scottish Exhibition and Conference Centre (SECC) and the Exhibition Centre Rail Station are just a short walk away. The Argyll has a lift to all floors, a small private car park and on-street parking. Ambassador Hotel, 7 Kelvin Drive, North West, G20 8QG Glasgow A stylish hotel with a unique location overlooking the River Kelvin, in the heart of Glasgow's fashionable West End. Recently refurbished and less than 1 mile from the city centre. Conveniently located in the heart of the West End surrounded by numerous bars, shops and restaurant and only 1 mile from Glasgow City Centre. Only 6 miles from Glasgow International Airport and a great base for exploring Loch Lomond and the Trossachs. Holiday Inn Express Glasgow Airport St Andrews Drive, Glasgow Airport, PA3 2TJ Paisley Just a 2-minute covered walk from Glasgow Airport Terminal Building, this Holiday Inn Express has luggage trolleys, a 24-hour front desk and on-site parking. The hotel is just off the M8 motorway. Each modern room at Holiday Inn Express Glasgow Airport has a satellite TV with on-demand movies. All rooms have air conditioning and tea/coffee facilities, and Wi-Fi is accessible throughout. The Holiday Inn Express has a regular bus service, offering direct access to Glasgow city centre in just 20 minutes. The beautiful Loch Lomond can be reached in a 25-minute drive.